The team at Nxt Gen Web creates a synergy between the disciplines of art and science to create engaging, responsive websites for businesses. We combine numerous features that streamline navigation, which is key to lead nurturing and ultimately conversions. Our web design service is all-inclusive. We conceptualize, execute and provide continual follow-up to ensure your target audience is engaged and getting the best user experience possible. We incorporate all the features you need, so you can save on design costs. Most web designers charge by the hour and milk the clock as much as possible to maximum their paychecks. Every website designed by the Nxt Gen Web team includes all the necessary features and add-ons that create a unique and engaging user experience for your customers. Best of all, the back end is simple and easy to understand for you to continue adding content and giving your customers more reason to come back. 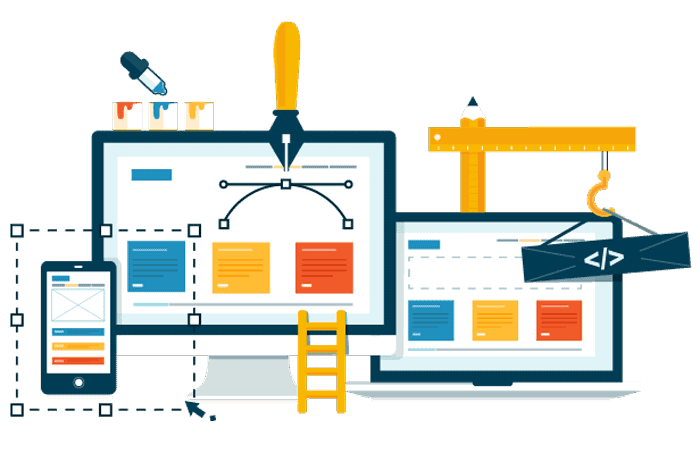 Working with Nxt Gen Web means your website will have a custom theme designed specifically for your company. There are no licensing fees and support is ongoing from day one. Your website will stand out from the competition and engage leads with customized informational page templates. Our graphic designers and programmers create all images, icons and logos in-house. No outside contractor needed. No need to pay multiple designers for your graphics needs. Our team even handles rotating graphics as the need arises. Forget scouring message boards for assistance and updating numerous plugins every month. The Nxt Gen Web team customizes your CMS so it’s easy to use when the need arrives. Users will experience your website in a fully-engaging manner whether accessing it from their smartphone, laptop, or tablet. We supercharge your blog and/or email newsletter not only with intuitive content management, but also well-placed and targeted graphics and other visuals. Social media should reinforce your website, not the other way around. Our team integrates your social channels to create a centralized hub for customer engagement. We create customized plugins that provide visitors a unique experience that stands out from the competition. You snap the photos; we create the gallery plugin designed specifically to enhance your target audiences’ user experience on the website. The days of using free video hosting applications with no customer support are over. We design custom video galleries that give you complete control of the viewing experience. The layout of your website is designed specifically to engage your target audience, which means longer visit times and ultimately conversions. When visitors bookmark your website, the favicon provides your brand a distinguishing features that aids in brand recall and overall dissemination. Forget hosting your videos on third-party websites. We customize the video viewing experience to fit the messaging and goals of your brand. Not only does our team work to decrease cost per lead, but also develops programs to ensure your website is consistently generating leads. Live chat allows you to interact with customers instantly and answer their question in real-time. Lead nurturing in this manner leads to more conversions. Your website will display as it should regardless of device. The 21st century brought with it 3D-style user experiences on websites. Our designers integrate parallax scrolling that ultimately increases visit times and conversions. An email list gives you direct, intimate access to your customer. We design a contact form specifically for your needs without the extra costs associated with CRM’s. This powerful features allows customers to find your exact location, along with providing the full Google Maps experience right on your website. Our team handles the technical and sometimes confusing aspects of making certain your domain is pointed to the correct server and host at all times. Whether it’s one domain or 20, we assist with the seamless transfer of your domains to a new registrar that saves you money and/or provides more benefits and features. Once you choose your CMS, we handle all aspects of hosting from installation to maintenance. Every Nxt Gen Web website we host has a 99.99 % up-time guarantee, along with ongoing maintenance and support. Your website is only as good as its trustworthiness, particularly for companies that handle sensitive data. Our team has years of experience with HTTPS integrations on hundreds of websites. How are your customers finding you? How long are they staying on your site? What are the most popular pages? Google Analytics gives you all this valuable information and more. It’s the back-end SEO that catapults your website from obscurity to first-page results. The Nxt Gen Web team stays up-to-date of search algorithms and designs your site accordingly. The goal is for your site to be indexed with all the major search engines and show up organically with both short and long-tail keywords. We’ll show you how to use tables within your CMS to supercharge SEO effects. Our 99.99 % up-time guarantee is tops in the industry. We also guarantee fast load times, along with responsiveness and engaging user experiences. Life happens, even in the virtual world. We’ll constantly monitor your website with the goal of finding and fixing any and all potential bugs before you even become aware of them.